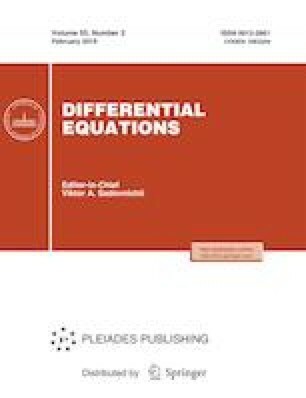 We consider linear inhomogeneous vector systems of higher-order ordinary differential equations in which the coefficient of the highest derivative of the unknown vector function is a matrix identically singular in the domain where the system is defined. We study how perturbations of the system by a Volterra operator, as well as perturbations of the initial data and the free term, affect the solutions. The corresponding estimates are obtained, which are then used to justify the application of the least squares method to the numerical solution of the corresponding initial value problems. Russian Text © V.F. Chistyakov, 2019, published in Differentsial’nye Uravneniya, 2019, Vol. 55, No. 2, pp. 273–276.